Finally, click Send Payment Request. 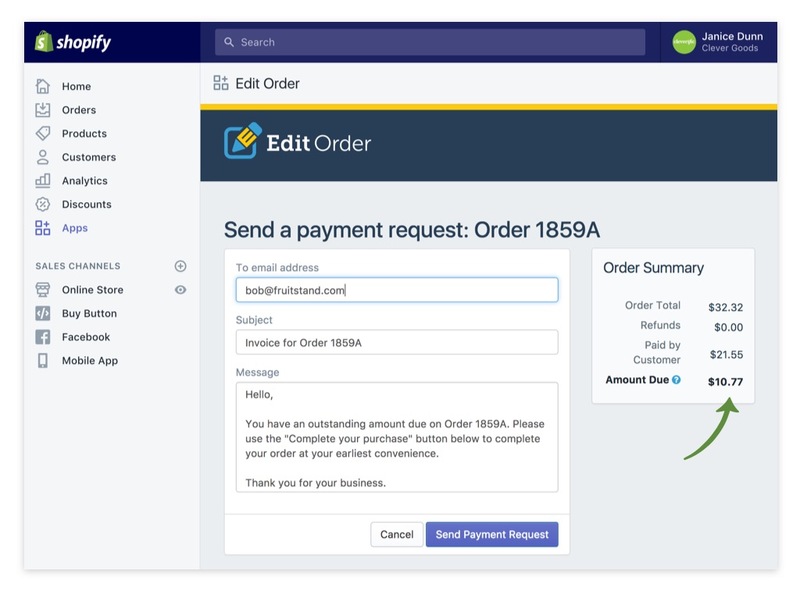 This will send a payment request out to your customer without editing the order any further. 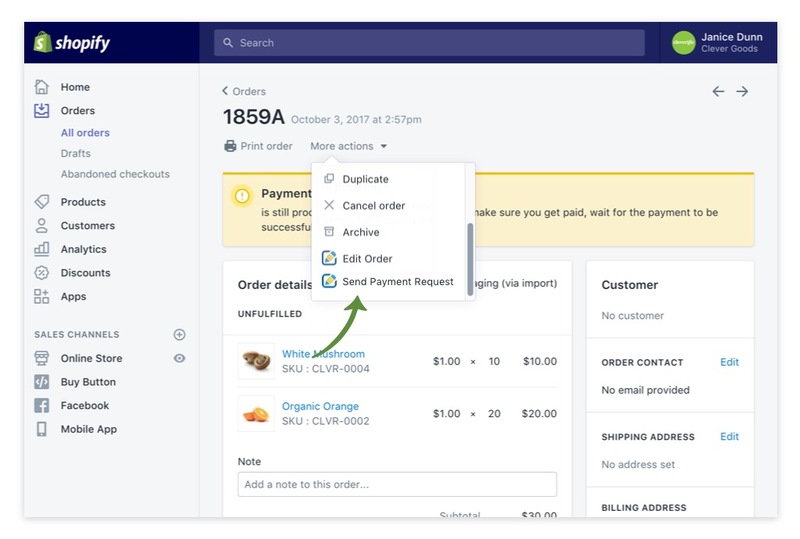 When processing has been completed successfully, Edit Order will automatically redirect you back to the edited order's details page.